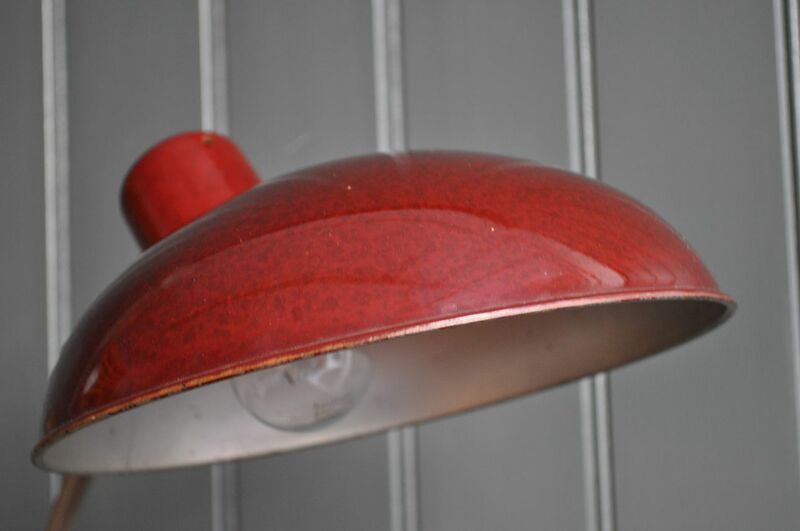 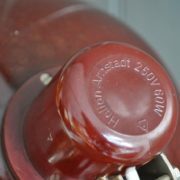 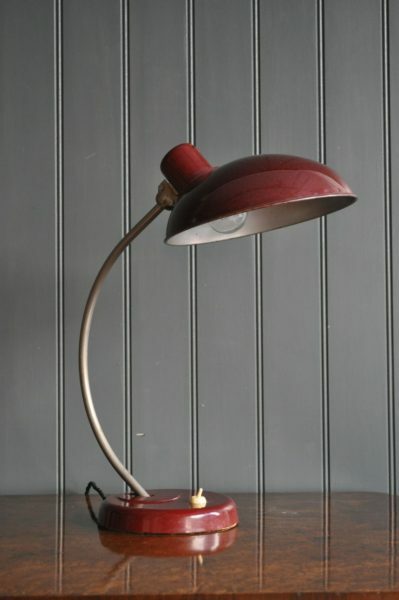 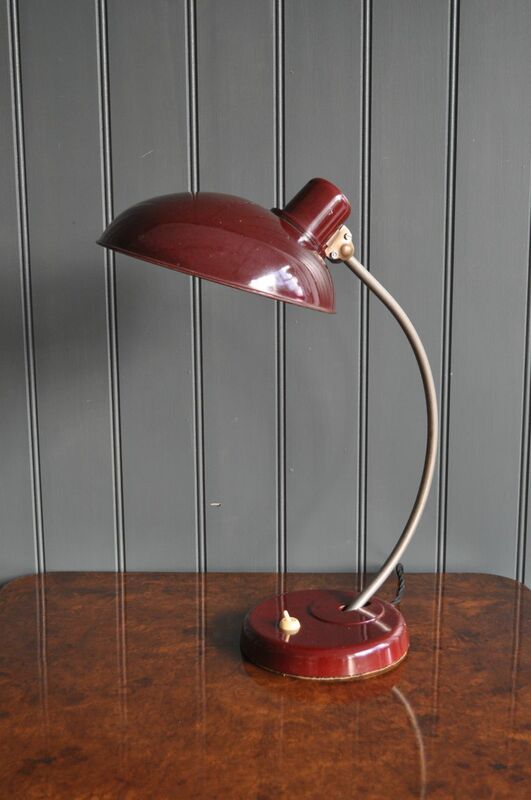 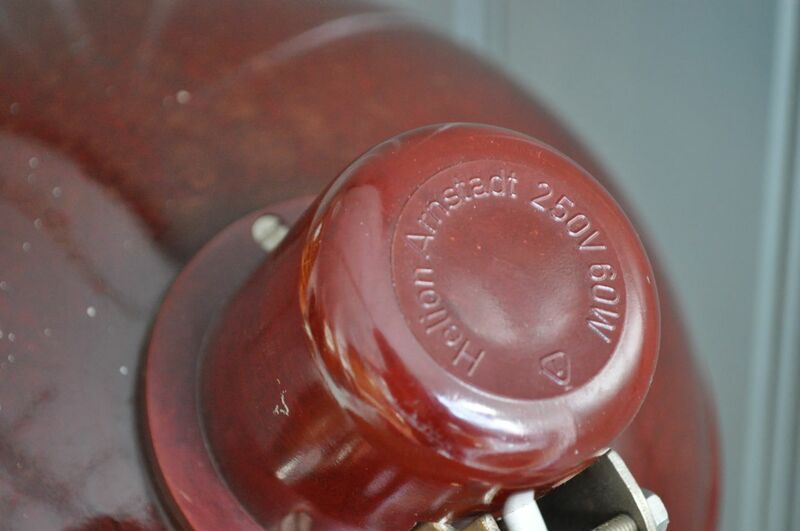 Stylish German bakelite 'Helion Arnstadt' desk lamp, in lovely original condition. 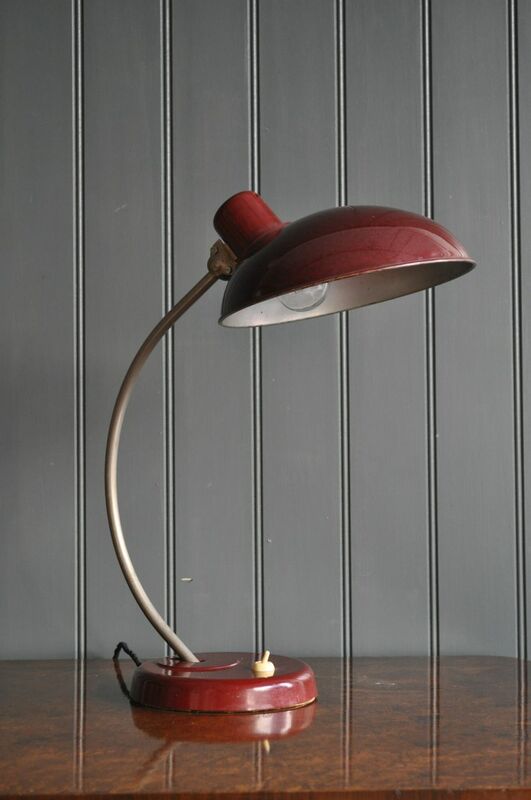 Newly rewired with black braided flex and black plug, and accepts ES bulbs. 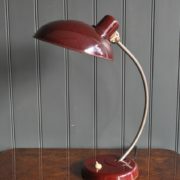 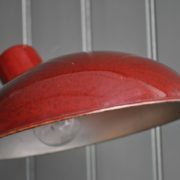 Something of a design classic, and rare to find one in such nice condition, especially in the beautiful red bakelite.